When it comes to choosing the right pedal for your tablet, there are various things you must consider. The first thing you need to determine is whether your pedal supports bluetooth and/or USB, as this may limit your selection. The are a number of choices among bluetooth pedals, and options for two, four or six switch units. USB can often be cheaper (if your tablet supports it), but requires cabling that can get in the way. The various options will be discussed below. AirTurn makes exceptionally good pedals, and has earned a reputation for their quality. The DUO is engineered to be silent, reliable, and durable. 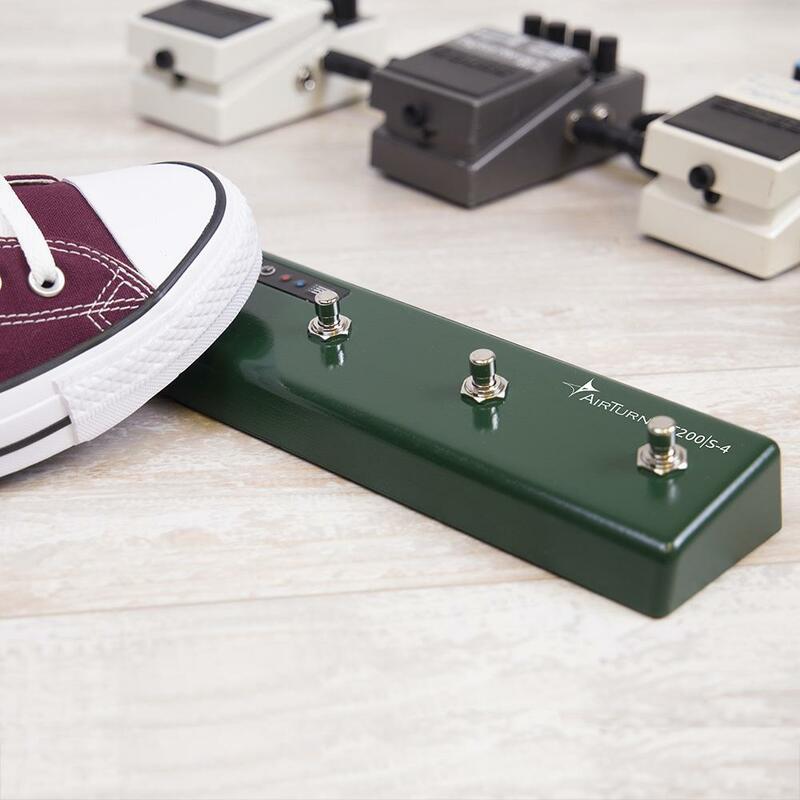 Of all the pedal manufacturers, users seem to encounter the fewest issues with the AirTurn pedals, and generally seem to be very happy with them. 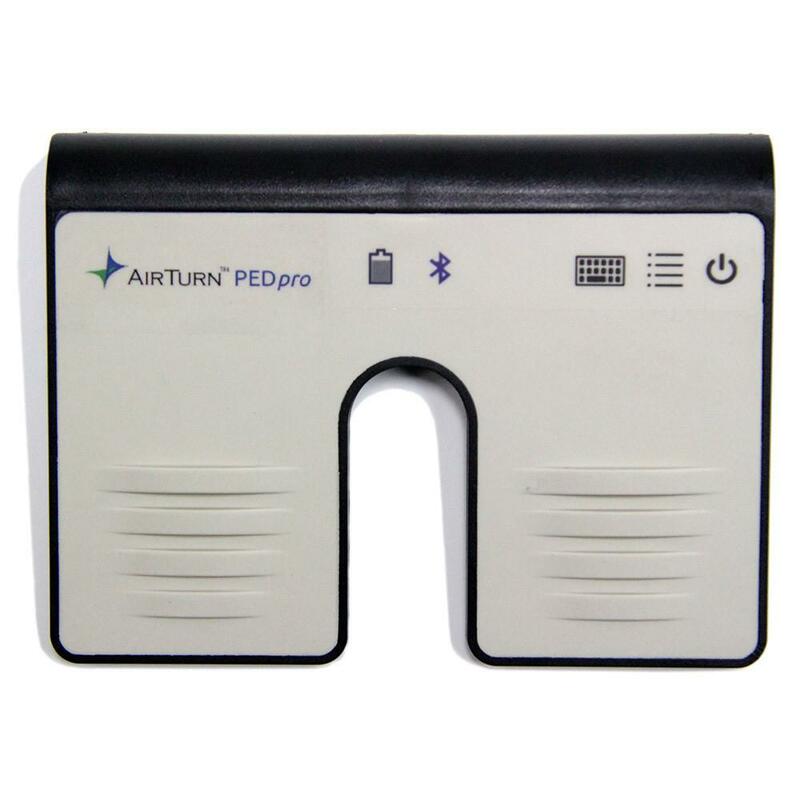 The PED pro is the least expensive pedal available from AirTurn but still has excellent build quality. It is lighter and has a lower profile, which may suit some users better. 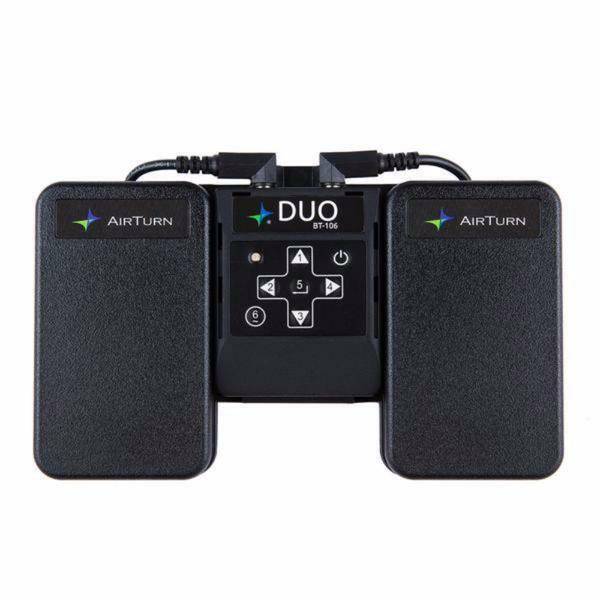 This is a four switch unit from AirTurn that has the same excellent build quality as the DUO but offers more options with two additional switches. 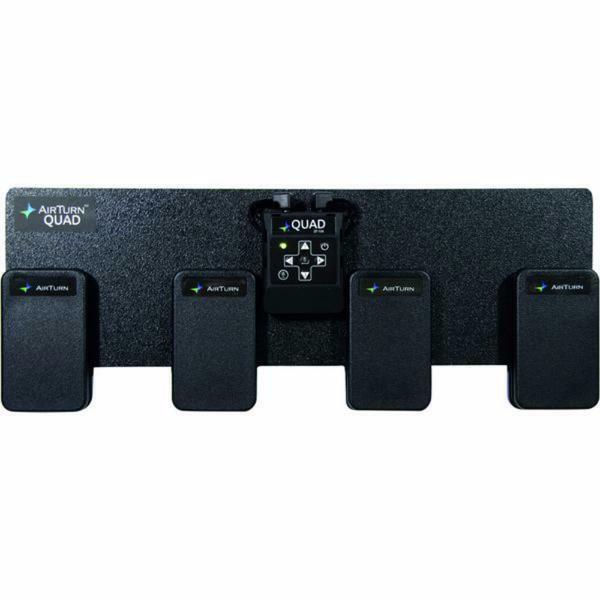 MobileSheetsPro allows up to six switches to be mapped to actions, so having a four switch unit opens up a lot of possibilities. 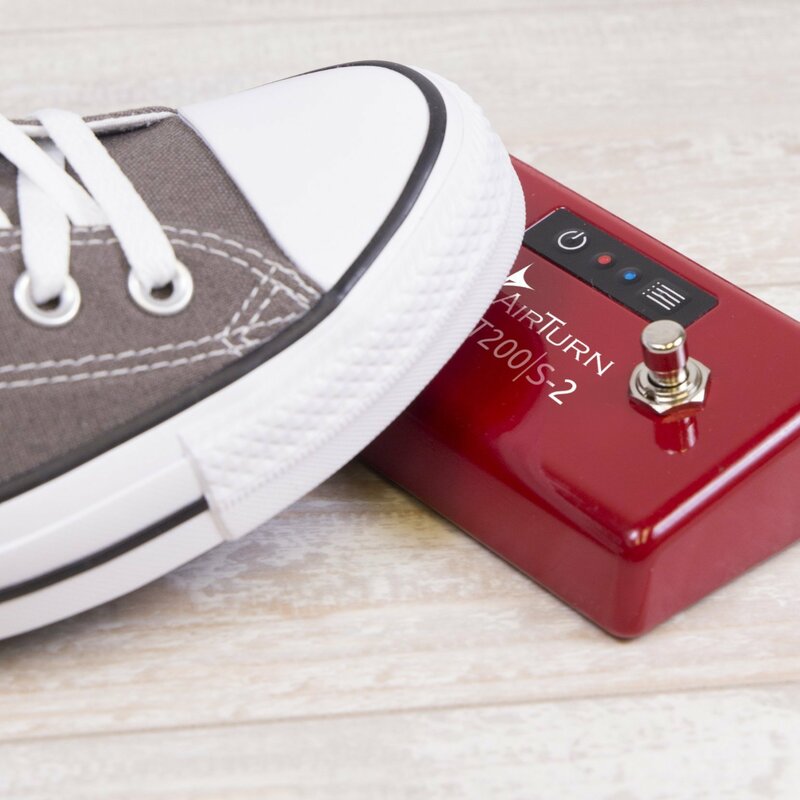 For those that want a stomp style pedal, the BT200S-2 is a great option. It is designed to be heavy-duty, reliable and very programmable. Each switch has four supported modes: Momentary, Latching, Pulse or Command. Unlike most other pedals, this pedal (and the BT200S-4) can be configured to send one action when pressed, and another when released. It also supports sending MIDI messages, opening up even more possibilities. Like the BT200S-2, the BT200S-4 is designed to be heavy-duty, reliable and programmable. This model supports an additional two switches, providing even more control over actions in MobileSheetsPro. The STOMP6 has 6 industrial grade footswitches in a full-metal enclosure. If you want to map lots of different actions to switches in MobileSheetsPro, the STOMP6 will suit you well. PageFlip makes three different tablets and is another popular choice for bluetooth pedals. The PageFlip pedals, while not built as quiet or solid as the AirTurn pedals, perform very well with MobileSheets and are a reliable solution for page turning. The ButterFly and FireFly have two switches, whereas the DragonFly has four switches. 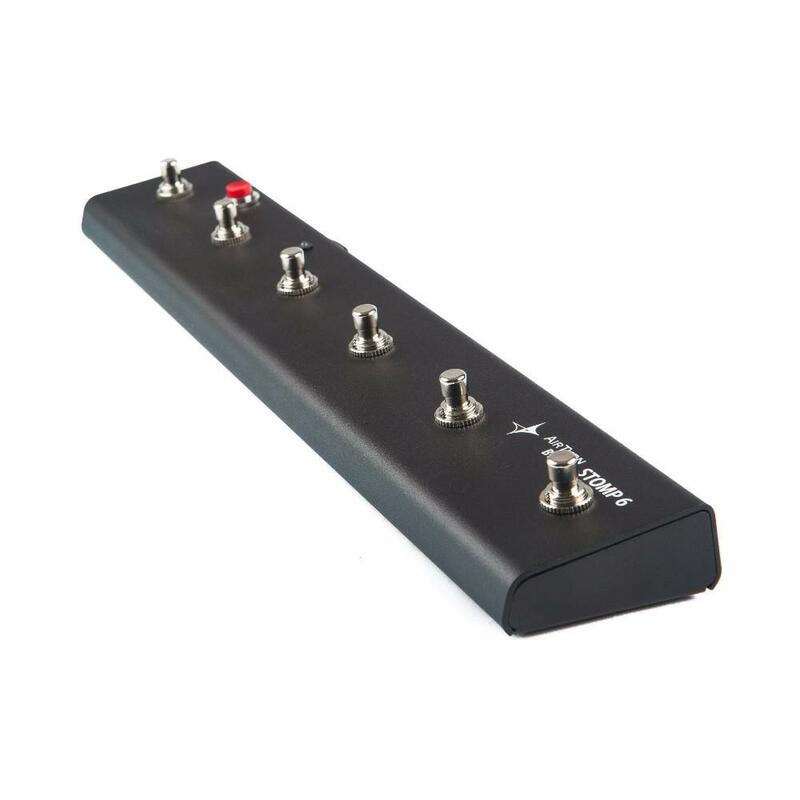 If you need more than four switches, you may want to consider the AirTurn STOMP6. 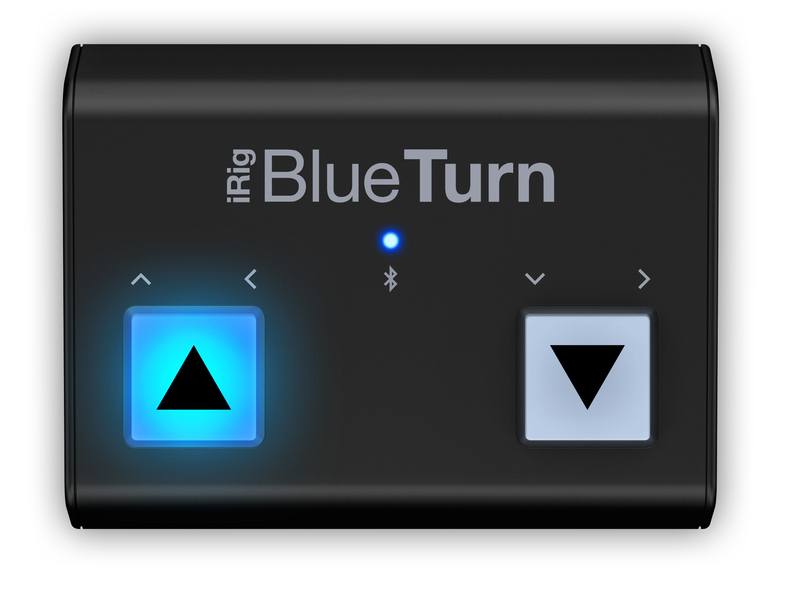 The iRig BluetTurn is a compact page turning solution with a simple design. Some users have indicated that it works well with MobileSheetsPro on their Android tablet, while other users have encountered connectivity problems. This pedal does not work on Windows 10. 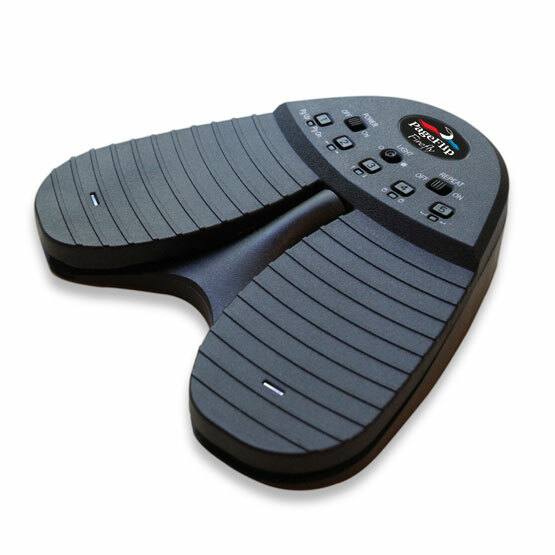 The wireless WBP-01 foot pedal is manufactured by the Italian company TEST MUSIC. For you Italian users out there, this pedal is worth consideration. Almost any USB pedal can be used with MobileSheets, so long as the switches can be tied to either a page up/page down, left arrow/right arrow, or up arrow/down arrow key combination, and the pedal is recognized as a compliant USB input device on your tablet. You can even use a mouse if desired. 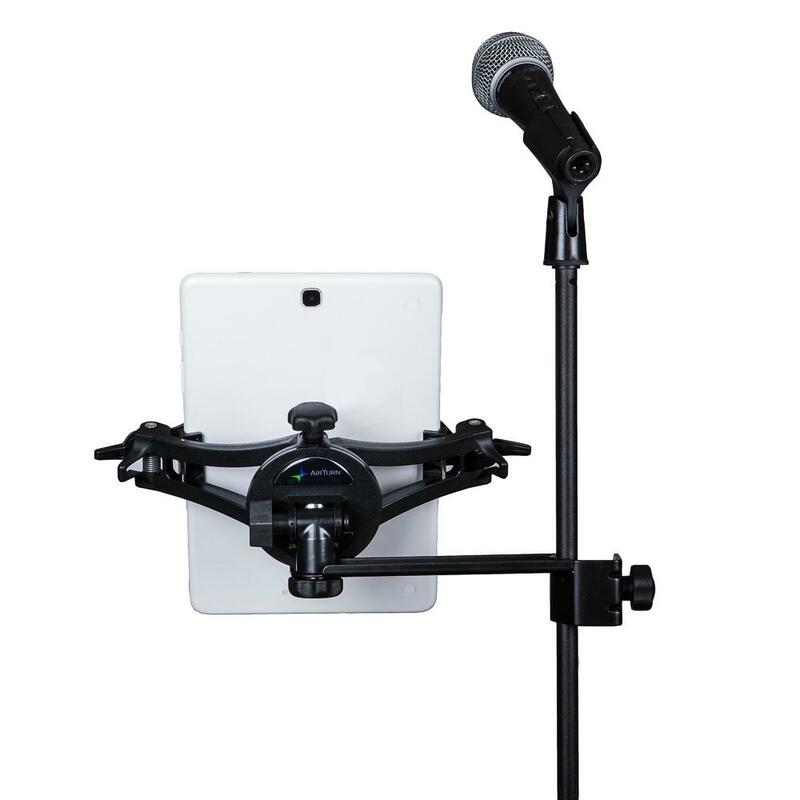 The Manos Mount is an Airturn product that can be used to securely hold your tablet at the perfect level while performing. It fits smartphones and tablets from 5” to 13.3” (up to 8.5" wide). IK Multimedia was kind enough to send me several iKlip Studios to test, and they are great little stands. Whether I'm playing guitar or keyboard, having the ability to set up my tablet anywhere I want has been wonderful. 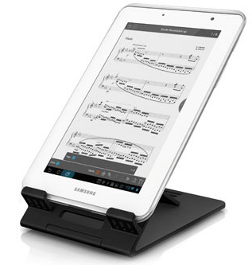 If you are looking for an easy way to prop up your tablet wherever you happen to be, definitely consider one of these.